When you picture white sand beaches, Peri Peri chicken and diving with sea turtles you probably don’t think of Africa. But Mozambique, a tropical paradise on the east coast, just beneath Tanzania, has all that and more. There’s nothing like going somewhere that isn’t already swamped with tourists and Starbucks coffee shops, so ditch those plans for Phuket and listen up. Here are 8 reasons to chuck Mozambique at the top of your travel bucket list. You’ve got the beachy, relaxed feel of Portugal, the hustle and bustle of India and the amazing landscapes of Africa, all in the one itinerary. In fact, the area was once run by the Portuguese, and their trendy cosmopolitan influence has never left. Think unspoilt beaches, hidden islands, swaying savannah and ghostly baobab forests. Hit up Bazaruto for some windsurfing and scuba, or hit up jazz and reggae clubs in the capital, Maputo. We know we know— if you wanted to relax you could just snag $179 dollar flights to Bali, but one day here and you’ll forget about Bintangs in no time. While some parts of Africa are still risky for travellers, Mozambique is the total opposite. You'll find a completely stripped back way of life, and an untouched paradise full of happy locals. The bazaars of Maputo might be a study in culture and chaos, but head to Pemba on the coastal reaches of Cabo Delgado. You'll get pearly white beaches and next level chill. You cannot get seafood any fresher than literally plucked from the ocean and cooked to your liking (sorry fishies, but you’re just too damn delicious). For the best of the best, head to Ponta Malongane on the coast. If seafood isn’t your thing, the traditional peri peri chicken (see that Portuguese influence we told you about) is a must. There’s also a ton of tropical fruit that grown here, so you can be sure that you’ll always be well fed. For something proper local, try a bowl of ncima in the morning: a thick porridge made from maize and corn flour. Unlike some other popular tropical hot spots, you won’t be hassled to buy something while you’re laying poolside trying to soak up the rays. 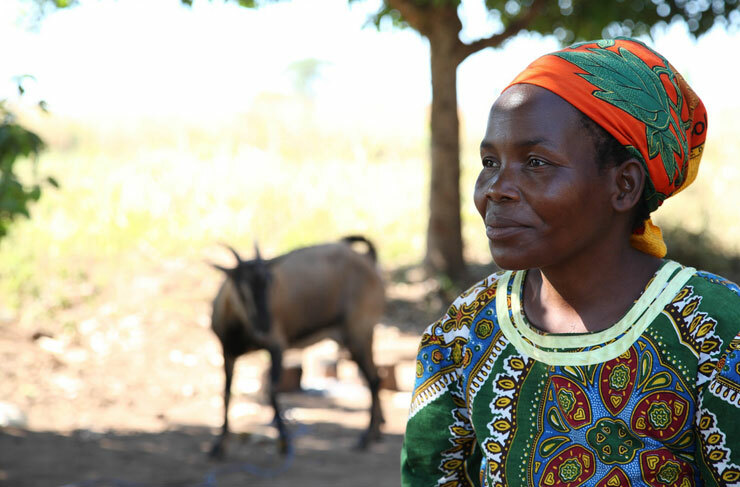 The Mozambique locals are as friendly as can be—and would be more likely to invite you over for a local dish or offer a hot tip before getting under your skin. Here's a few useful phrases to get you started. Bom dia (Good morning! ), obrigado (thanks), faz favour (excuse me). Mozambique might not be on of Africa's Big Destinations (Kenya, South Africa and Tanzania soak up most of the tourist hoards), but it's no slouch when it comes to scenery. There are around 1500 miles of rugged, picturesque coastline for starters, plus world-class reefs perfect for swimming, sailing and snorkelling. If that isn’t enough to convince you, head off to one of the many exclusive and private islands like Vamizi or Medjumbe. For nature safari, it's gotta be Gorongosa National Park in the southern reaches of the East African Rift Valley. This is still Africa, right? So you can expect to see a huge range of wildlife traipsing around the place, from birds and buffalo to elephants, lions, leopards, hyenas, jackal, eland and sable. 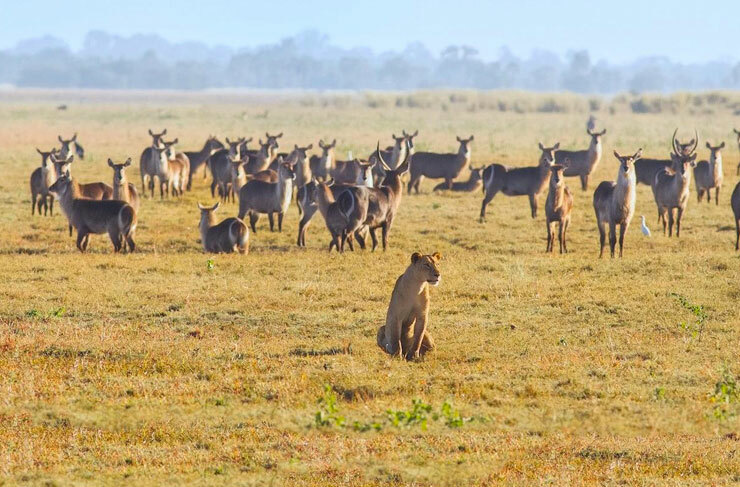 Gorongosa is definitely the spot most people head for game viewing. Lake Urema is the spot for birdlife and waterfowl. And you can even swim with whale sharks in Bazaruto (the best month is probably October). Who needs Kruger National Park, baby. Not many people know this, but Mozambique is one of the world's leading destinations for sport fishing and deep sea fishing. This is mostly down to the clear AF water, huge array of fish and how darn well the locals can cook them up for you afterwards. Oh, and the islands and reefs that you’ll see aren’t too shabby either. Benguerra Island, Quirimbas Archipelago and Pemba are all good spots if you want to drop a line. Just check with local operators and hop on a charter tour! Along with the fishing, you've got the diving. 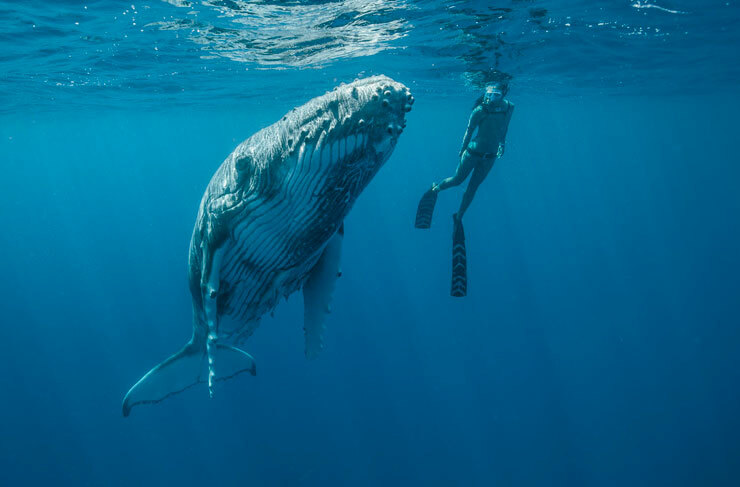 Mention Mozambique to keen divers and they'll instantly start thinking megafauna. The big stuff. Manta rays, sea turtles, whale sharks, Humpbacks and Southern Right Whales. The place is an underwater paradise, and there are dive charters running from most of the coastal towns. Inhambane and Tofo are great places to dive, as are Pemba and Bazaruto. Feeling Croatian vibes? Here's our guide to 48 hours in Split.